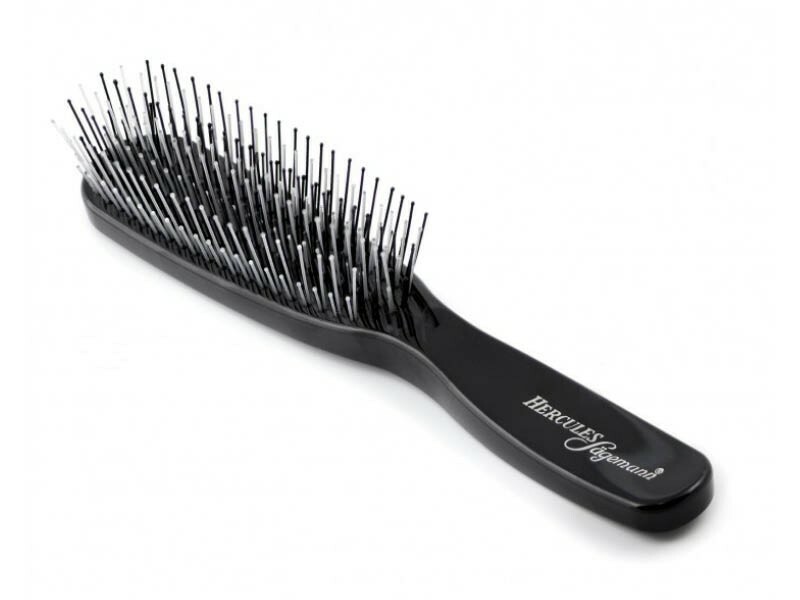 Large detangling hair brush by Hercules Sagemann is specially designed for gentle removal of knots in the hair without tugging or pulling. Rounded nylon pins are set in a special way and easily detangle very strained and knotted hair, while softly massaging the scalp. 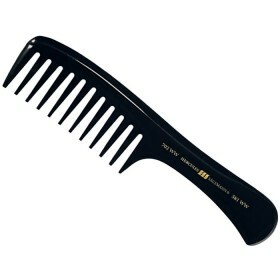 The brush is well balanced and black acrylic handle fits perfectly in the hand. It can be used on dry or wet hair, for example for spreading your favourite conditioner. 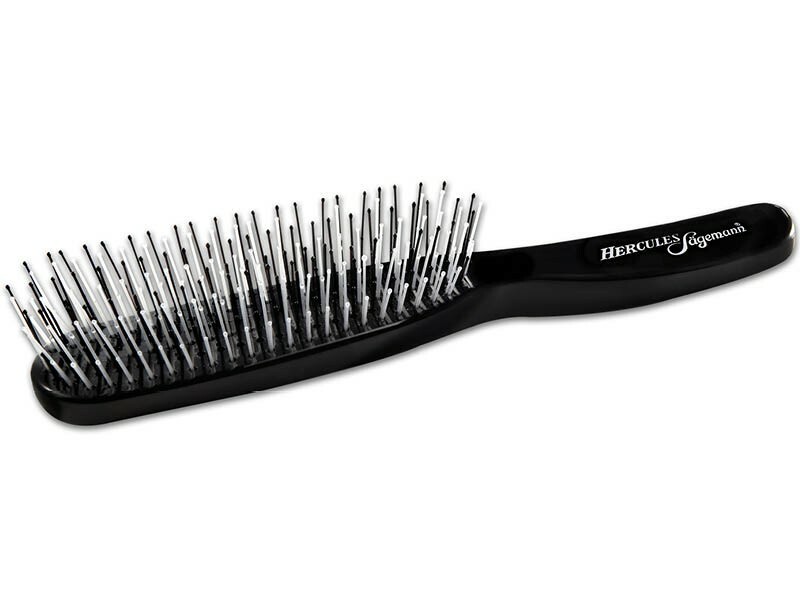 Hercules detangling brush is perfect for everyday use on all hair types and extensions, and helps to create healthy-looking hair pumping with shine and beauty. 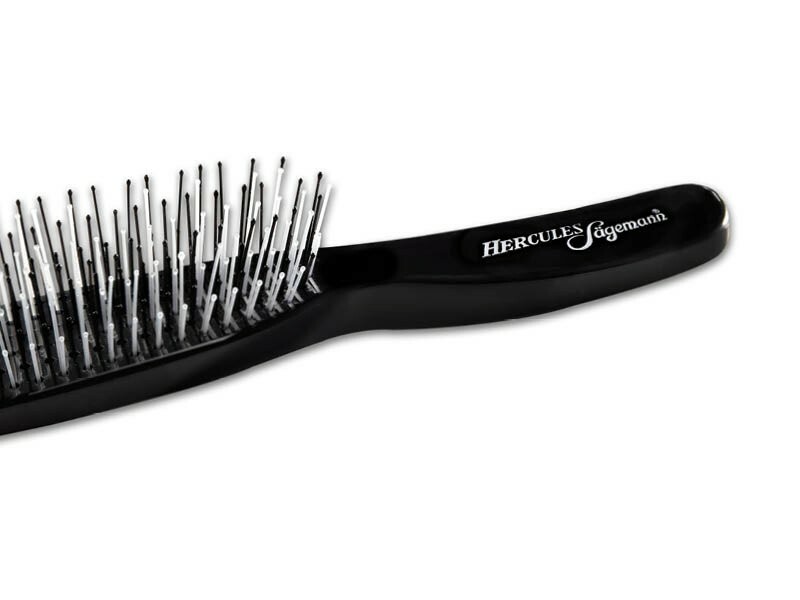 Hercules Sagemann detangling hair brush is crafted by German experts in combs and brushes since 1856 and gently detangles strained or knotted hair without pulling or tugging. 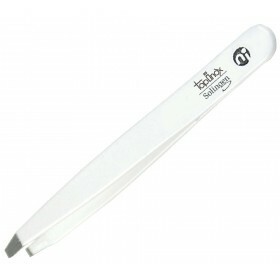 Rounded nylon pins are set in a special way and feel pleasant on scalp. 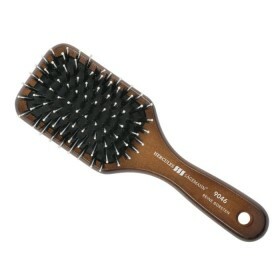 The brush perfectly removes knots from wet and dry hair, while softly massaging the scalp and supporting the growth of healthy hair. 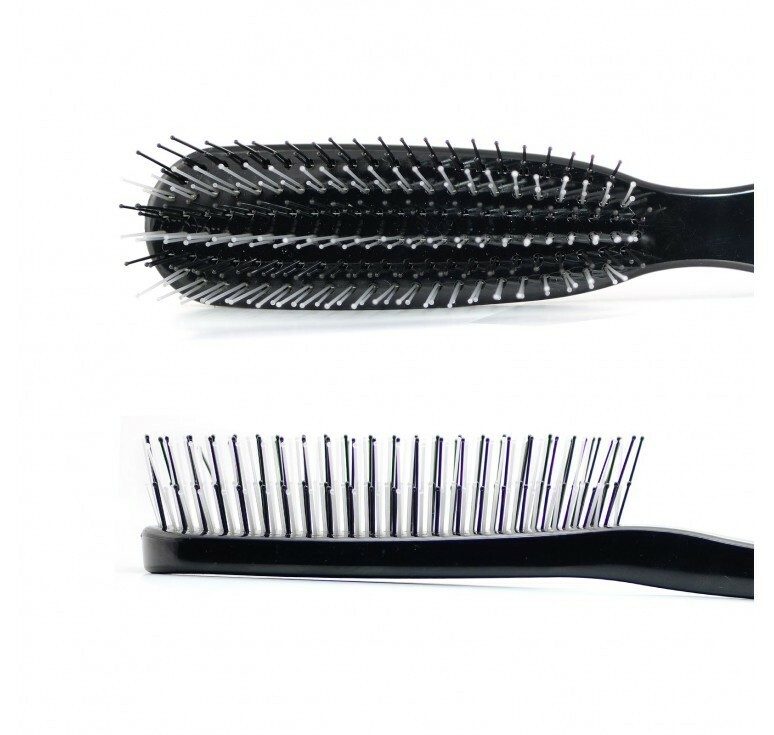 Combination of longer and shorter pins makes the brush suitable for overall hair styling as well as spreading cosmetics in the hair. Use it on natural hair or extensions – fine, very flexible pins ensure no split ends, no tugging or pulling, and no damage to your hair. 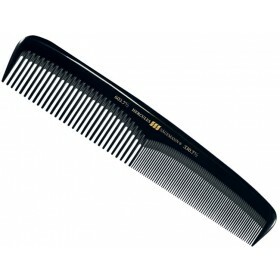 Length 21.5 cm. Number of rows 6.